28 y.o. Woman Dead – Is The Pill To Blame? I have never been a fan of the contraceptive pill, learning very early on about it’s harmful side-effects and potentially deadly consequences. Being formulated from synthetic hormones, these hormones are not identical to those found within the human body, and therefore like any synthetic medication, have the potential to wreak havoc with our natural biological processes. The dangers of the pill are not widely pulicised. This form of contraception is one of the most popular, and even though the pill has been listed as a known carcinogen, woman are either unaware of it’s risks, or prefer to ignore the potential of increased risk of cancer for the convenience that this form of contraception offers. One of the other increased dangers is the risk of blood clots, and it tragic that yet another life has been claimed, allegedly due to this young woman taking the contraceptive pill. A beautiful young woman, newly married, in the prime of her life, which has been cut short in a tragedy that shouldn’t have happened. “A revolution was about to begin when the Birth Control Pill arrived on the scene in 1960. It heralded an era that would emancipate fertile women from the burden of unwanted pregnancies thus opening the door to greater equality and freedom. For the past 37 years about 200 million women around the world have chosen the Pill as their preferred method of contraception. This “medical miracle” has enlisted almost 90 per cent of western women of reproductive age on some kind of contraceptive at some time in their lives. 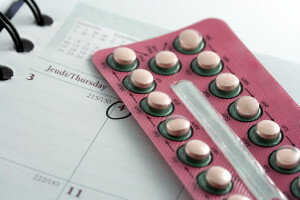 The choices of the steroid hormone contraceptive has now expanded to include the combined and the low dose pill made with estrogen and synthetic progesterone called progestin or the mini pill, implant and injection made only with progestins. The Pill has been proclaimed as one of the most studied drugs in history. After three decades of experimentation (unfortunately on the unsuspecting pill users) , we are told safe dosages are, at last, finally known. However, as the thin veneerof advertising hype, pharmaceutical cover-ups and sanitized clinical trials is peeled away, another picture emerges revealing the devastating consequences to women’s health and well-being from the use of steroid hormones found in the Pill (as well as in Hormone Replacement Therapy which is made from the same steroid drugs). Far from safe and risk-free, it is now being recognized that these steroid hormones are, in reality, dangerous and potentially life-threatening steroid drugs that cause grave harm to women. The sexual freedom that women have fought so hard to attain, has been won at a terrible price. In fact, with hindsight, it will very likely be recorded in history that the widespread prescribing of synthetic hormones to women was the biggest medical bungle in history. Most women taking the contraceptive pill (or that matter HRT) have very little idea about the hormones they are putting into their bodies nor are they knowledgeable about the potential side-effects. A soaring incidence of breast and cervical cancers as well as strokes, cardiovascular disease, blood clots, impaired immunity, infertility and major nutritional imbalances are only some of the conditions undeniably linked to these hormones.” Read the full article here. There are alternatives to the pill, but none are as effective or reliable, although used in combination they come close. Natural fertility management is worth learning so that every woman has sound knowledge of her body and the time that she is most fertile. Using these methods, in combination with a barrier method at the most fertile time of the month, can come close to replicating the efficicacy of the pill, although like any form of contraception, it is not foolproof. For me personally, I have used this method successfully for over twenty years. The long-term risks of the pill were just not worth it to me. If you are using the contraceptive pill, then you certainly need to be working with a good naturoapth to do whatever you can to offset the dangers. The pill can cause nutrient deficiencies, so offsetting those with supplementation, and being on a program to lower the risk of both cancer and blood clots is worth initiating. How do you feel about the contraceptive pill? Are you aware of it’s dangers? Do you think doctors downplay the risks involved or are clear about the dangers of the pill when prescribing it? Please feel welcome to leave your comment, feedback or question about this blog post below! If you would prefer not to use your own email address, just type guest@embracinghealth.com.au in the box below to post your comment. We'd love to hear from you!